With the rise of the discount retailer, all located on retail parks, along with more desirable stores moving out of town, it is no surprise to see a decline on high street footfall. For example, B&M have announced again this week a strong increase in sales and continued store expansion plans. Click and collect is now driving a lot of sales, with consumers now demanding convenience, not increasing car parking costs and deserted high streets. October footfall was 0.4 per cent lower compared to the same month one year ago, but this figure was better than the 0.9 per cent fall in September. 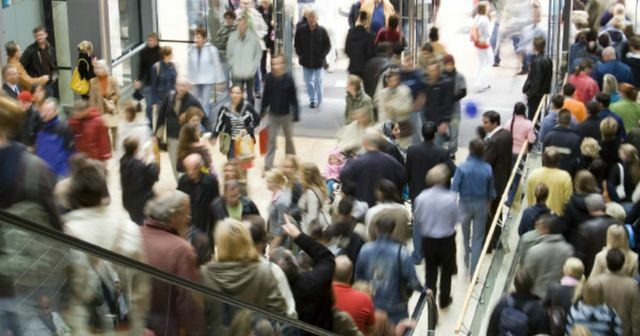 According to the latest Footfall and Vacancies Monitor by the British Retail Consortium (BRC) and Springboard, the footfall rate in October was also the equivalent to the three-month average rate. The biggest winners in the retail sector were retail parks, which saw footfall grow by 1.1 per cent in October after September’s minor fall of 0.01 per cent. The biggest losers were shopping centres, where footfall fell for the ninth consecutive month in October by 1.8 per cent. However, this is an improvement on the 2.5 per cent fall in September. better than the 0.5 per cent fall in September.